Made It Monday and Whew! | I Teach. What's Your Superpower? Made It Monday and Whew! 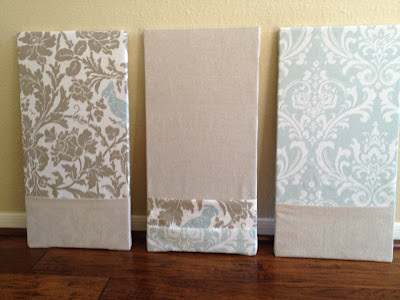 I don't know about you, but I am loving these Made it Monday linky parties. 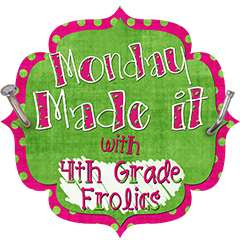 A big thank you to Tara from 4th Grade Frolics for starting this! I've been so much more productive this summer. What can I say, I do well with a deadline. I'm shocked I've gotten anything done this week. We went to San Antonio Sunday, Monday, and Tuesday for a tag along trip. My husband worked, we relaxed. Then we left Friday to visit my husband's family in Dallas. We left the kids behind Sunday (not on accident) and zoomed home just in time for a date night! Now (once I finish this post) I'm off to Baton Rouge for a quickie trip to see some of my favorite girls. Can you see why the fact that I have anything to link up for Made it Monday is a miracle? First up, what I've gotten done for school. Everybody and their grandma has been making these shared journals, and I wanted in on the action. So, of course, I had to make my own. I planned on making 4. It turned into 10 once I got rolling. I printed them on sticker paper, cut them out, and voila. Shared journals. You can download my covers here for free! I've linked these babies up to Manic Monday. I posted earlier about this cutie. Here's a staged action photo complete with green post it notes to go with it. You can read about it here and download this poster for yourself. So what does this get you? 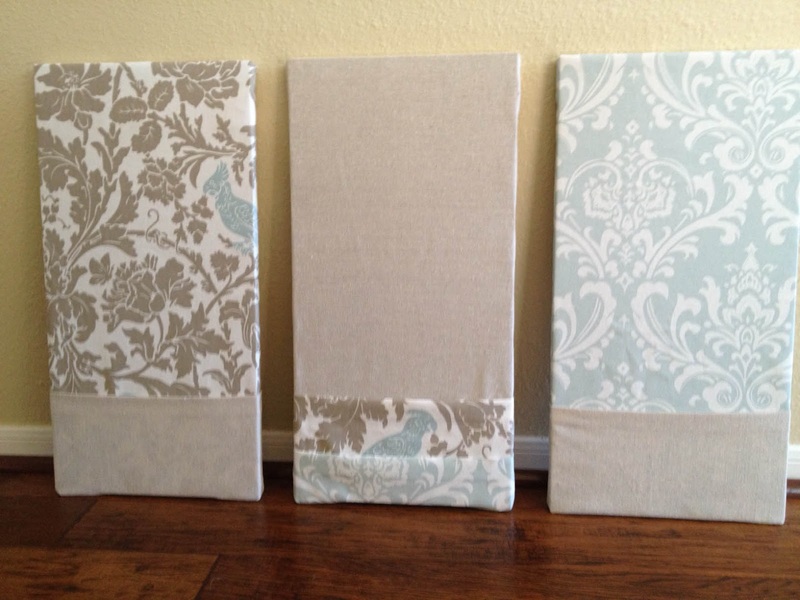 1x2 flashing, 12x24 inch canvases, Gorilla glue, fabric and a glue gun? Lovely magnet boards with pockets for a make over I'm planning. While the girls are at Camp Grammie's this week, I'm planning to get some beeswax taken care of. She's 10. She did all of her laundry and her sister's. On her own. For real. Wash, dry, sort, fold. Now, however, as I'm posting this I'm worried that it's a reflection on my parenting. Maybe one day she'll write a memoir and be like, "My mom was a total slacker and never kept up with our laundry. So out of desperation, I started washing my little sister's laundry and mine too just to be sure I had clean clothes to wear. It was a tragic childhood." Seriously, they've never had to wear dirty clothes. But maybe it did get close once or twice. That's all I've got! I can't wait to start hopping around this linky party. A word of caution, this linky party is a black hole. Once you go in, you'll blink, and be all, "Where did those three hours go?" You've been warned. Oh my goodness! You've been busy!! Love that laundry story :) And the shared journal covers look awesome! Come check out my awesome giveaway HERE! Can't wait to read your daughter's memoir! lol jk! You have been a busy lady! I love your ideas! Thanks for sharing! You have been super busy! I love your shared journals. Thanks for sharing them! Fantastic post! I love the shared journal idea! I actually hadn't seen that on pinterest yet. Can you give a few details about them? I'm going to use them as one of the choices for my writing station. 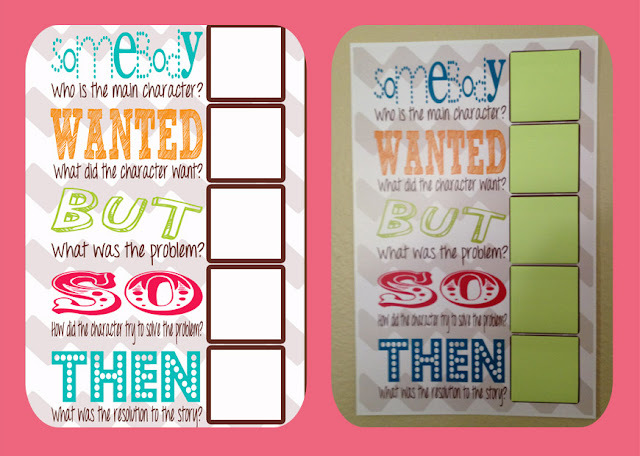 The kids can choose a journal to write in and then read what others have written. I'm going to write the first entry in each journal, so they have a good model. What great stuff!!!! Thank you. I like the shared journal prompts so I snagged my free copies. Thank you! Don't worry about your kids, mine will probably say something like ... "It all started with pinterest and blogging. We had to fend for ourselves!" HaHa! I LOVE IT ALL...too cute. I'm so glad you linked up! I enjoy looking through your blog. You are one busy bee! Thank you for sharing journal cover freebie. I am going to use them in my writing center. I think students enjoy writing more when they can write about what they choose. I also plan to have fancy letter paper, birthday cards etc. so they can send real mail they have written. I always have students telling me that it is a family members birthday so I think they will like that. I love everything you made! I appreciate all of the great resources ! I went and downloaded your poster immediately ! Quick question - how do you print a poster so cheap at Office Max? Was it a special deal or something? Thanks ! Love these journals! Thanks for sharing! I love your journal covers!! Thanks for sharing them with us!! :) That is something I would like to try this year. It sounds like you've done a great job with your daughter. I have mine participating in my Monday Made It this week. She would probably tell you how much time mommy spends on the computer lol. I always use somebody wanted but so! I love that organizer and yours turned out adorable! I love them! :) Looks like you had a busy week! Love the journal covers! Thanks for sharing. I love the magnetic boards! They are so cute! The reading poster is great. I will be using that in my classroom. Thanks for sharing. Love the shared journal covers!! I am going to try that this year too! 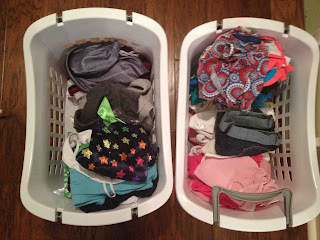 I also smiled at the pictures of your daughter's laundry job:) I can only hope one day...mine are 2 and 5! haha I think it makes you an AWESOME mom!! Someday, they will need to know how to do the laundry without Mommy's help! I am your newest follower. Love the name of your blog! I need to get brave and join this linky party, Made It Monday." there is so much inspiration & I need to get my bottom moving on school stuff! Love the journal covers. Question: Where did you get the cool borders you used on them? Did you purchase them or create them? Thanks for sharing -the journals are such a GREAT idea!! I must really like these - I commented once before!! I know how you feel! Put your daughters with mine and they could probably come up with a best seller! I'm surely no June Cleaver!